When flammable liquids burn what is actually burning- the liquid or the vapors above the liquid? It is the vapor that mixes with the oxygen that is burning. The vapors from the flammable liquids can also travel a long distance before reaching the ignition source. 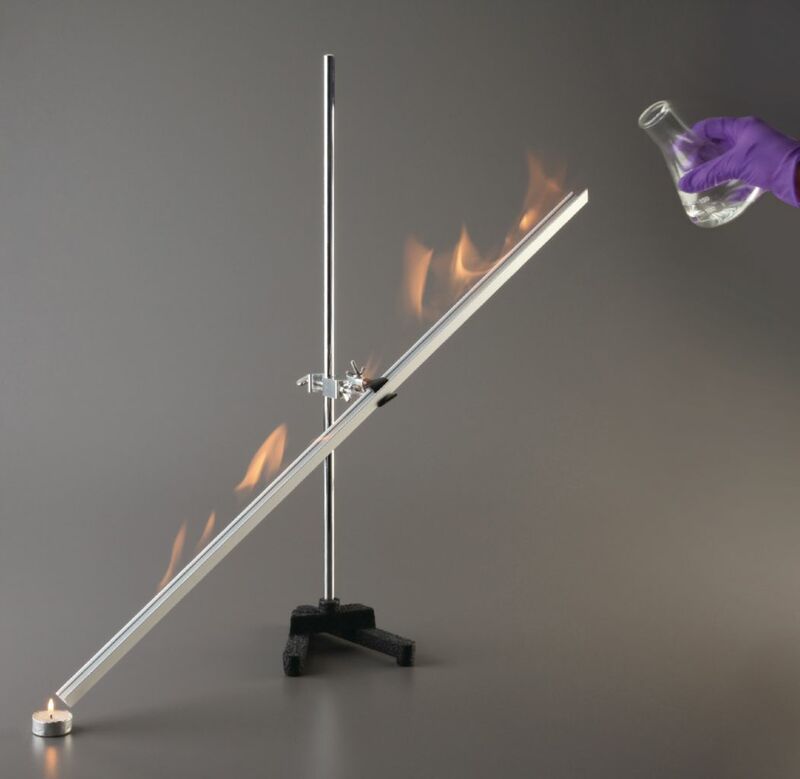 This safety demonstration should teach students why no ignition sources must be present when flammable liquids are being used. Ordering information: Materials Include Petroleum ether, Votive candle, Metal trough. 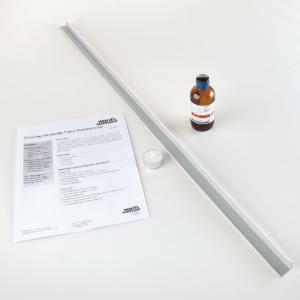 Materials Required But Not Included: Erlenmeyer flask with fitting rubber stopper, Ring stand and clamp, Matches or Butane lighter, Fire extinguisher.